from left to right: my sis (the prima donna who's already birthed 3 kids and is still thin as a rail), me (the big crazy eyed one), my mom (the originator of my crazy, plaid lovin style). And then I was talking to my mom on the phone and things like "well, do you think Abby (my sister) would like one?" and "well, you know, its just as easy to cut and make two as it is to make one" started flying out of my mouth like I knew what I was talking about. 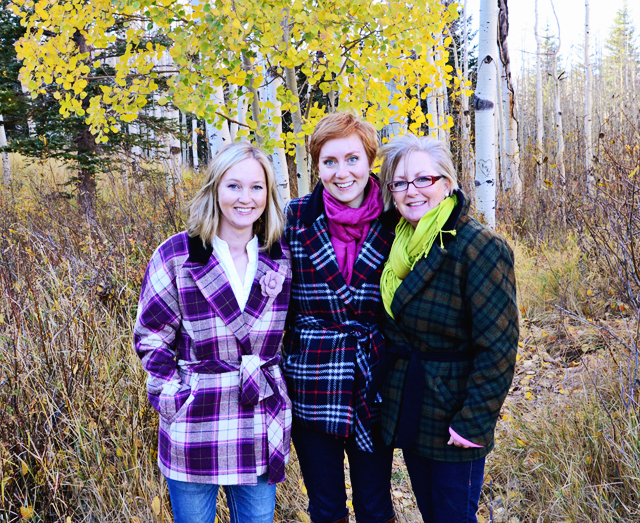 I had this picture perfect idea of me, my mom and my sis in picture perfect plaid coats in an actual picture. I was like, I gotta have that. There's also nothing like a challenge to make me rise to the occasion. So I cut out these plaid coats for my mom and sis on a Wednesday or something and they were both finished by Tuesday night the next week. I was totally on fire. What can I say? Inspired doesn't seem to cut it. I made it happen and I totally felt like a ninja. The point has come for me where I just need to sew and I need to sew like the wind. Let's get this happening already! My sister's coat was made from a remnant we had at the store. It was this fleece backed wool blend. I lined it in the same kasha coat lining that's in mine and that stuff is wonderful. Good gravy. My mom's coat is made from a thick wool plaid. It's um, really scratchy. But that's the thing, you know. Its a coat and you can't feel the scratchy-ness through that kasha coat lining (my mom's is lined in that too) and then I used velveteen for the collars on both coats so you know, we're good on the scratchy wool front here. My mom and sis are completely in love with their coats. One word: epic. I absolutely can not believe that I was so....... unselfish. But I was and it did feel good. Ha ha! I made exact replica's of my coat - as in fitting. I thought you might like to know that because this coat is very forgiving and my mom, sis and I really have very different figures, but this worked. We're all roughly the same size but as with every other woman on the planet we couldn't be more different. My mom is petite and has an ample bust and no hips where my sister and I are average height and have average bust sizes. My sister is more slender and lanky than me, but it is interesting to see how these all fit on us. Isn't fitting the weirdest? There you have it folks! 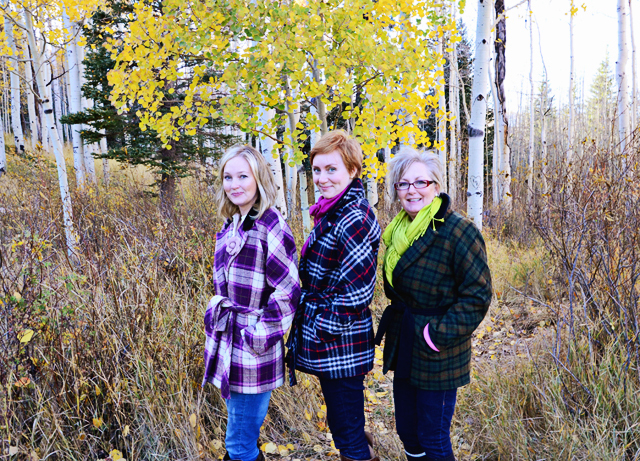 Plaids for the whole family (well, the girls anyway)! Hurrah! What a fabulous trio of coats adorning an equally fabulous trio of ladies. Gorgeous, all! As if your coat hadn't already made me sick, now you've gone and made two more. Triplets, you should be ashamed. I am in love I must admit. You've even got me wanting that fabric! All these coats look fantastic. And suit each person fantastically. They are testament to the fact that different fabrics result in such different completed projects. Well done! Glad to hear you're on fire! These coats - and all of you - are totally gorgeous! these coats are fantastic!! what an adorable trio you guys are. love this! Holy cow! That's fantastic. You all look amazing in your rad plaid jackets! 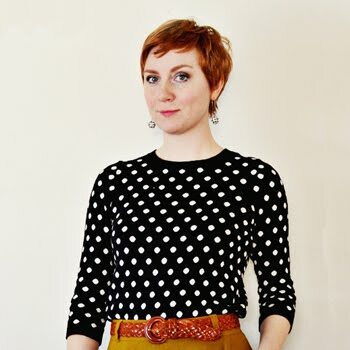 As one who loves coats, this post was a treat to read! Your coats and the ladies wearing them are perfectly matched, literally and figuratively! Fabulous job, dear Sunni!! I am so impressed that you could honker down and make these two in one week. I get interrupted and it takes weeks for one garment. You go girl! Stop!!! I wanted one of these coats so badly after you posted the FIRST one, and now I'm green with envy! These are gorgeous and your family looks so cute in them! How much does the front overlap? I have a large rust and turquoise plaid left over from the 80's in my stash. This pattern just might be the thing. I love these coats!!!!! These all look great! I really love the colors on your mom's coat. These are so amazing and you all look so great! Well done! Wow, again such amazing work! It's really great to see this in three different fabrics. It ought to be easy to imagine after your first coat but somehow seeing how different, yet equally amazing, this looks in each fabric is very inspiring. You are amazing! I think I like your coat the best of the three, but honestly is any plaid really BAD? of course not! They are all three beautiful (I am partial to that gorgeous purple) and I'm still crossing my fingers that you'll do a coat sew-along! Thanks for sharing! A coat sew-along would be fun. If you're ever looking for another plaid loving sister, call me. I want in on these jackets and adorable photo shoots. I was really touched by these photos. You all look very close and the coats are gorgeous. Love the autumn leaves, boots and the heart inscribed on the tree. You're obviously the best sister and daughter, ever! :) You three look great in your matching coats. awesome!!! all three look perfect. and these are the best pictures!! Totally fabulous as always! You're the coat queen! The coats are just incredibly beautiful. Pleeeeeeeeese (my best whiney voice) do a sewalong!